guides, stats, and ways to counter strengths and expose his weaknesses! Level priority: Bionic Blender, being the only damaging ability, makes it a must to get and max first. Play: Focus on farming and grabbing every piece of XP, try to maintain HP close to the maximum as you 'l need it to survive once you land. 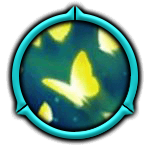 Another viable option is to engage as often as possible and try to bring enemy's health down, then teleport to base for healing and immediately use ultimate to fly back and push the enemy out of the lane. Eventualy you seek to gain lvl advantage and with it more lane presence which leads to even more opportunities. 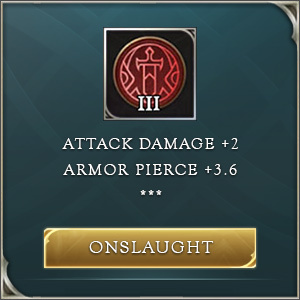 Every time Max damages an enemy, the enemy gets shocked, causing them to suffer 30( +18% of AD) true damage per second and have their health regeneration reduced by 25% for 3 seconds. 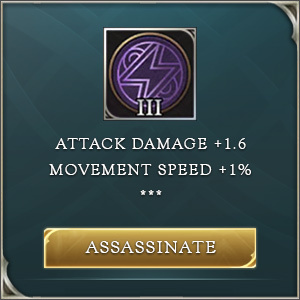 -only the direct damage from normal attacks or abilities triggers this passive. 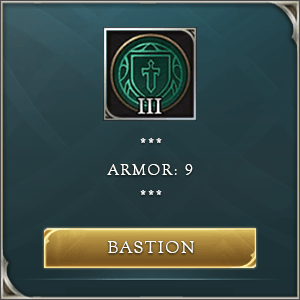 -its healing reduction debuff stacks with those gained from items. Max spins his robot arms around, dealing 300/360/420/480/540/600 (+90% of AD) physical damage to enemies. Every time he hits an enemy, he increases his movement speed by 10% (up to a maximum of 30%) for 4 seconds. Max rushes towards his target and flips over them, landing on their opposite side. Once on the other side, Max activates a magnetic force field that reduces Max’s damage taken by 15/16/17/18/19/20% for 3 seconds. This ability can be used again within 4 seconds. -for a split second it stuns the target (roughly 0.3 sec). Max fires trackers that attach to all enemy heroes for a short time. The trackers allow allies to see the enemies’ locations and interrupt enemy recall actions. While the trackers are active, Max can then select an enemy to track and ram into by holding down the ability button. Ramming into the enemy deals 700/950/1200(+200% of AD) physical damage and knocks them back. If Max takes too long to select an enemy, he will have to fire the trackers again. When Max lands, he activates a magnetic force field that reduces his damage taken, increases his resistance by 30%, and shocks all nearby enemies. Pressing the ability again while Max is tracking an enemy will cancel the attack, making Max land immediately and activate his force field. -Shock radius is somewhat larger than the melee attack range. 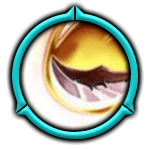 -If the enemy target dies, Max will continue and land at its corpse, activating all the effects as if he is alive. -Split Pusher. Max can easily farm away and join the team fight by using Liftoff. Even if you don't use it, just having Max in your team is enough of a fear factor that your enemies will have to be on guard constantly. -Global Information. Liftoff gives unobstructed vision, doesn't matter where the enemy is located or if they have some kind of ability that grants invisibility, you will still be able to see them. -Hard to get rid of. Once Max sticks to someone, the only way to get rid of him is to kill him, but with his skill arsenal that might prove pretty difficult. Once you get a chance, glue yourself to the enemy ADC and bash him until one of you dies. -Early game. You are not really that good at 1v1 and your diving capabilities are low. You need the game to go late for you to reach your full potential. -Low damage. Max's 2nd ability deals no damage, even though his other skills have some good scaling you still need to build at least some damage. And forcing a hero into a talent or an item is never a good thing. -Lacking control. There is nothing Max can do if the enemy attacks ally carry, outside of damage which is definitely not burst type. 120-second cooldown: Removes all debuffs and control effects on yourself and gains immunity to them for 1.5 seconds. 90-second cooldown: Instantly attacks a nearby enemy hero and deals damage equal to 16% of the HP the enemy hero has lost as true damage. Laning: Take Dark Slayer lane since you are dependent on gaining levels and items. You don’t have any burst damage but once you get Heart of Incubus you should try to bully your enemy a little. In lane, Smooth Moves and Bionic Blender can be used for effective escapes If ganked. On your fourth level, you can use Liftoff just to reveal the enemy for your team, it is not necessary for you to join the fight, only using Liftoff is enough to get an assist, using it a few times just to get some easy gold can get you ahead of the enemy laner. Keep in mind that enemy can see the mark on the target you are ramming. When you have Mantle of Ra and Gilded Greaves your game begins. Team fights: While you are split pushing, keep an eye on the minimap for potential team fights. Liftoff is one of the best single target engage skills in the game. Your job is quite straightforward, mark a high damage carry in the enemy team and stay on him. You don’t have AOE control skills so you can’t actually help your back line, nor zone the enemy. You are actually a bully swinging your arms around and killing cheerleaders. When you land from Liftoff you activate magnetic force field (Static Shock applying aura) with 350 unit range. This synergizes insanely well with Spear of Longinus.